Richard Irwin (Belper, United Kingdom) on 20 December 2007 in Plant & Nature. 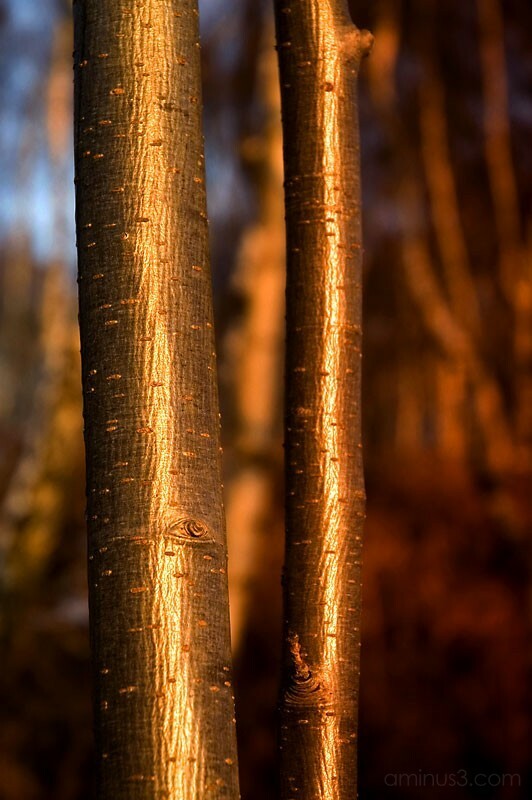 Low winter sun bathing these wild cherry trees in glorious golden light. Warm and golden... really aglow! Absolutely georgous the lighting on this is truly wonderful Richard. so very cool. They look golden! WOW! This is a wonderful photo, i love the golden look! Fantastic textures and lighting here, Richard. VERY nice indeed. Wow - golden cherry, indeed! Beautiful! Did you do anything to this image or this straight from the cam? They look painted! Very beautiful!